Help me meet my goal; please give today. "Glad to support writers of poetry, especially Catherine Hodges. Mary Beth"
"What a great way to support a great press! Wishing you a still gaze, deep listening, and unexpected visitors (Heb 13:2) in your writing this month." "Did our beach walk inspire anything? :) "
"I'm inspired by your poems, Catherine. What a privilege to witness them so early in their lives! And to participate with you in Tupelo's efforts. " "Catherine, I love Tupelo and think it's wonderful you're doing this for them. May the muse be with you and the poems rich! " "Love from Con and Wags"
"Way to go, Catherine Hodges!" "Looking forward to the crazy creative outcome!" "Love the cause! Wish I had more money. Go independent presses!" 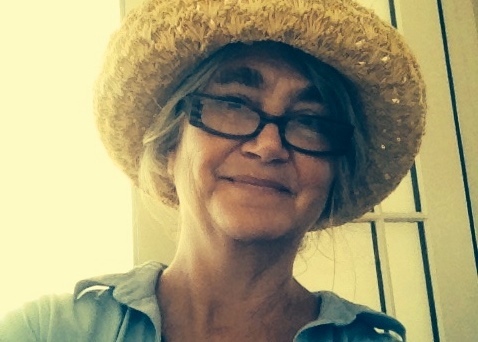 Poet Bio: Catherine Abbey Hodges writes and teaches in California's San Joaquin Valley. Her first full-length collection, Instead of Sadness, was selected by Dan Gerber as winner of the Barry Spacks Poetry Prize and published by Gunpowder Press in 2015. Peter Everwine writes that her poems, which have appeared in many journals and been featured on The Writer's Almanac and Verse Daily, "arrive on the page without waste, in language that is intimate and transparent." Catherine collaborates with musician Rob Hodges, experiences poem-making as a kind of listening, and is often at a loss for words. Author Statement: To launch my one-semester sabbatical from Porterville College, every day in August I'll be drafting a new poem for Tupelo Press's 30/30 Project. For me, that's a crazy pace, an outlandish goal. But I'm feeling a bit outlandish, and since my sabbatical project centers around designing a summer creative writing experience for young writers, intense engagement in creative production strikes me as the perfect start. If you'd like to join me in support of Tupelo Press, a superb press that publishes a beautiful array of voices, please consider making a contribution to this adventure. My goal is to draft 30 poems in August and to raise $600 for Tupelo Press in the process. Your support of Tupelo Press in my name gives me vital inspiration as I write for thirty days this month. Here's how the project works: Tupelo Press provides the canvas and I bring my words, writing thirty poems in thirty days in the company of other intrepid volunteer poets. These poems are then ours to edit and submit as we wish; 30/30 poems have been taken by over 90 journals, featured in over 40 published chapbooks, and all got their start helping Tupelo Press continue to publish exquisite and diverse voices that might never be heard otherwise. Every contribution encourages me to keep writing and helps the press place more poems in gorgeous books. Help me to help this distinguished press. Please give today!